PollerGEN: Linking grass pollen biodiversity and human health: an environmental genomics approach. PollerGEN is an interdisciplinary NERC-funded project aiming to revolutionise aeropollen measurement and forecasting. It is exploring linkages between grass pollen and human respiratory health, particularly asthma exacerbations. 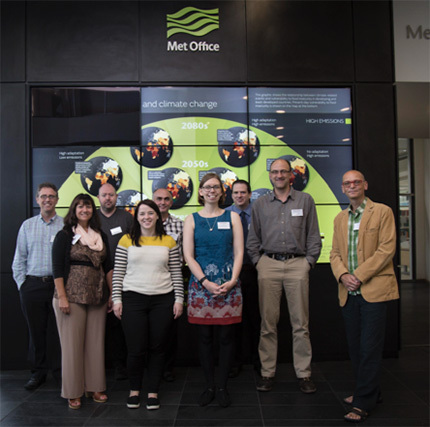 Along with the European Centre, the project involves researchers from the Universities of Bangor, Aberystwyth, Worcester and New South Wales (Australia), as well as the Met Office, and the National Botanic Gardens of Wales. In Europe, grass pollen is the single most important outdoor aeroallergen, and the population prevalence of sensitivity to grass pollen is generally greater than for other pollen types. Exposure to high levels of grass pollen has been linked to allergic asthma exacerbations, which in severe cases can lead to hospitalisation and fatality. However, it remains unknown whether particular species of grass contribute more (or less) to the incidence of hay fever symptoms and other health outcomes, and PollerGEN is aiming to address this. Work is on-going amongst participant institutions to bring together species/genus-specific grass pollen datasets with public health datasets.